Become skilled in different phases of a project from start to finish! This curriculum will ground the trainee in the basic knowledge and principles of carpentry, masonry, concrete finishing, electrical work, HVAC, and plumbing. He or she will become skilled in different phases of a project from start to finish. Once completing this course, the trainee will be able to interpret construction drawings; perform quality concrete and brickwork; frame walls, ceilings, and floors of a structure; and install the proper wiring and piping for electrical and plumbing systems. This exceptionally produced trainee guide features a highly illustrated design, technical hints and tips from industry experts, review questions, and more! NCCER is a not-for-profit 501(c)(3) education foundation established in 1995 by the world’s largest and most progressive construction companies and national construction associations. It was founded to address the severe workforce shortage facing the industry and to develop a standardized training process and curricula. Today, NCCER is supported by hundreds of leading construction and maintenance companies, manufacturers, and national associations. Chapter Introductions list the Objectives, Performance Tasks, and Trade Terms for that module. 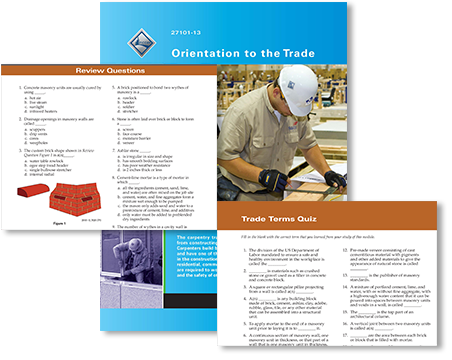 Chapter end resources include a Chapter Summary, Review Questions, and Trade Terms Quiz. Cornerstone of Craftsmanship features individual profiles and offers students a look into a potential future career. 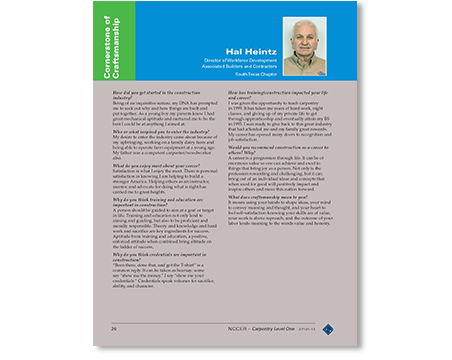 A Q&A format provides the information in an engaging, conversational manner. 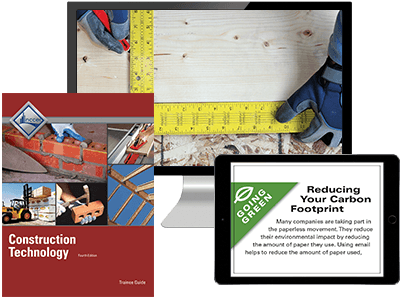 Features provide a head start for those entering the Carpentry field by presenting technical tips and professional practices from craftworkers in various disciplines. These features often include real-life scenarios similar to those you might encounter on the job site. NCCERconnect is a robust online supplement that includes an electronic book, auto-graded homework and practice opportunities, and audio / video content reinforcement. This user-friendly interface includes all of the essential course management tools you would expect in an online environment - a gradebook, assignment manager, and communication features. 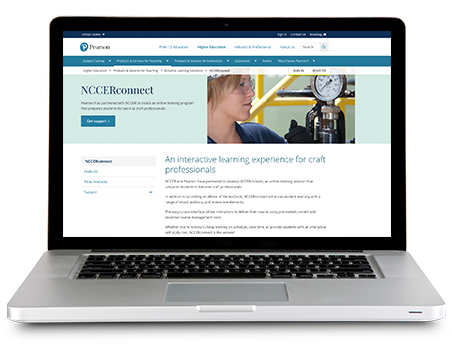 NCCERconnect provides a range of visual, auditory, and interactive elements to enhance student learning and instructor delivery of craft training.